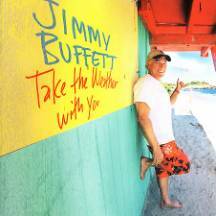 Jimmy Buffett’s latest CD, “Take the Weather With You,” landed on store shelves on Tuesday, October 10th. The collection of 14 songs (4 written by Buffett) features Greg “Fingers” Taylor on harmonica for the first time since 1999’s “Beach House on the Moon” (more on Fingers later). The CD also showcases Mark Knopfler, Wil Kimbrough & Sonny Landreth on guitar; Jake Shimabukuro on ukulele; Billy Payne on keyboards; and, of course, the usual suspects from the Coral Reefer Band are back after a one-CD hiatus. For you Buffett purists out there, this should be an enjoyable CD. So you’ve got that urge to purge and see your name in lights? ABC-TV’s Wife Swap wants to feature the ultimate Parrot Head family! At Wife Swap, they are looking for families that can not only learn something, but teach something as well. Families must have two parents and at least one child between the ages of 6-18 still living at home. Families selected will receive $20,000. If you’re interested, send Michelle Silva an e-mail. Rumors are running rampant about the return of Greg “Fingers” Taylor to the Coral Reefer Band line-up. He has already made several sporadic appearances throughout the current tour, showing up on stage to perform for only a few songs. He also makes a brief showing on Buffett’s latest CD appearing on 4 tracks. Now his management is saying that Greg cannot commit to anything in the first half of 2007 until he knows for sure whether or not Buffett takes him back. For those of you attending Meeting of the Minds in Key West next month, Greg will be appearing all over the place. The 15th annual Meeting of the Minds, this year’s convention is called Island Daze, is set for next month on the Isle of Bones, Cayo Hueso, or Key West as most visitors know her. From Halloween through November 5th the tiny island’s population will increase by close to 3700 people as Parrot Heads from all over the country descend on the Keys for this annual rite of passage. This year’s headlining act is Jerry Jeff Walker, scheduled to perform on the lawn of the Casa Marina Resort on Thursday November 2nd with Keith Sykes and Larry Joe Taylor opening (no guarantees, but given the history between the two, don’t be surprised to see Buffett make an appearance with Walker that evening). Other highlights of the convention will be the annual Halloween Party at the Conch Republic Seafood Co. (Tuesday, October 31st) hosted by the Palmetto PHC of Columbia, SC. Party goes from 6 – 9 pm and features the Sunny Jim White Band with Stan the Man on maracas; the Peter Mayer Group and Scott Kirby on Friday, November 3rd at the Casa Marina; the All Day beach Bash at the Casa Marina on Saturday, November 4th featuring the Sunny Jim Band, Jimmy Maraventano & Second Wind, the Boat Drunks and Jim Morris and the Big Bamboo Band; and finally on the last day of the convention, Sunday, November 5th, Sunny Jim will host his annual songwriter’s showcase at the Blue Heaven, featuring most of the performers who are still on the island. In a blender, combine all ingredients except the 151 with crushed ice. Blend at a high speed until smooth and pour into a Collins glass. Float the 151 rum on top and garnish with an orange slice and maraschino cherry. In 1972, Greg Taylor, then a communications student at University of Southern Mississippi in Hattiesburg, made his way to the student union to check out an unknown folk singer named Jimmy Buffett. A burgeoning harmonica player with a penchant for sitting in with musicians who were passing through, Taylor carried a harp in his pocket. "I had no idea who he was. And he was in what they called the Union Building, which was basically some mail boxes and Coke machines and a broken down PA system and a couple of folding chairs. He was singing 'Why Don't We Get Drunk and... ' for three little old ladies on a break from nightclass, and I thought that was one of the weirdest things I'd ever seen in my life," said Taylor. After chatting a bit, the two men sat down together that evening to play. And so began a long and fruitful association between a man who would one day become a legend, and another whose skill earned him the nickname "Fingers." Greg "Fingers" Taylor, 54, a master harmonica player who spent his formative years in Jackson and who cut his teeth on Delta blues, returns to South Mississippi to perform 10 p.m.-2 a.m. Saturday at High Cotton (5 Pass Rd., Gulfport, 424-8418) with the Detroit-based band, Doug Deming and the Jewel Tones. Admission is $10 at the door, and you must be 21 to attend. "When I moved to Detroit about nine years ago, I went out searching for a band. I wanted to find me a good blues band around town, and I found Doug Deming and his outfit. We became friends, and played a lot of gigs here in Detroit and on the road. We work together whenever we can," said Taylor. Earlier this week, Greg Taylor, who lives in Oxford, Michigan, and who is the proud father of two sons, Steven, 7, and Hunter, 8, spoke with the Sun Herald by phone. Here, then, are excerpts from that conversation. "I got my own little circle of things that I do. I still do a lot of parrothead stuff. I'll be out in Vegas soon. Playing with several of the parrothead bands out there watching Buffett. He does his Vegas show this year at the MGM Grand. Buffett was reportedly detained last week after French authorities say they discovered about 100 pills of Ecstacy in his bags. Any thoughts on that you want to share? "I don't know what was going on. I heard about that the other day, too. But who knows? When did you first learn harmonica, and why? "Well, when I was about 11 or 12 or 13, the Beatles came out. There was quite a deal. In '64, me and my friends, we loved the music, used to buy little 45 r.p.m. records, back in Wichita, Kansas... .A lot of the English bands were very astute at copying the old black R&B performers. Of course the Beatles went on to make a lot of their own music as well. Also, we were three shy little boys from Wichita, Kansas, and we'd go to these dances, and we were too shy to meet the girls. And we noticed that the guys in the band always had plenty of girls around them. So we put our heads together, got us some instruments and got a band together." How did you end up with the harmonica? "I'm not quite sure. I remember we were having a battle of the bands, playing every weekend. And one weekend the band that beat us, the guy, he noodled around on the harmonica a little bit and it seemed to excite the crowd. And I thought it sounded pretty cool. Wasn't long after that I started listening to Muddy Waters, Little Walter, Sonny Boy Williamson, all the greats. The Chicago and Mississippi blues harmonica players. I fell in love with all that stuff. Muddy Waters, Robert Johnson, the stuff that comes out of the Mississippi Delta. Looking back, does it strike you as ironic that here was a boy who spent years in Mississippi, and then gets this from the Beatles, who are from England. But they got the music, some of it, from Mississippi. So it's just a big circle, almost? "Well, if it wasn't for the Brits and all the bands during that era, we would have never realized what we had in our own backyard. And I'll be eternally grateful for that, because from there I kind of delved a little deeper and got into the Delta blues musicians and the Chicago players." Did you joust have at it? Or eventually learn a few cords on harmonica? Did you learn the scales, or just kind of messed around? "I'd taken a few piano lessons, at my mom's request, when I was younger. Of course I had a little old lady, who banged me across the knuckles with a ruler and stuff like that, trying to get me to play (stuff). I could never do it that way... .I did most of it just from listening to those records, playing along with them. And I had the great good fortune to actually play with a lot of the older guys, being down in Mississippi... .I always hung out a lot with Stevie Ray Vaughn, and Jimmie Vaughn, and Kim Wilson and all the Austin guys. They've been a part of my musical education, too." And your background with Buffett? "Buffett called me into Nashville (about 1975) when he got his recording contract with ABC Dunhill, and I started making albums with him back then. I think we ended up making about 30 or 35 albums....The brand new one should be out any day now. I got to work on that again. I left him, I was gone between 2001 up until recently. And I played with him 2 or 3 times on his tour this year. I'm going to Vegas here in about a week, probably play with him at the MGM. So we're kind of getting it back together. We took a little hiatus from each other." So from the mid-'70s through 2001, you were playing with him most of the time on tour, or sporadically, off and on? "No, that was pretty solid there. From the end of '74, early '75, right in there. Until we formed the actual Coral Reefer Band. And that's when the real road work began." Back at USM, at that student union, did you ever envision that the whole parrothead thing, the whole genre of music that y'all were kind of solidifying there, did you ever think it'd be that big? "No, not really. I knew that when we played together, it was something special. But we just kind of let the whole thing take us by the tail, and we just went on along. And whatever happened just led from one thing to another... .Around (1989-90), I remember looking out at the crowd with him one day before the show, and he said, 'I still don't understand what happened, Fingers.' And I said, 'I don't either. Really, what did we do except do the same things we'd always done?' And of course he turned out to be a marketing genius, and just a very prolific songwriter and personality who wins the hearts of people. So, he's been a lucky guy. We were all lucky, to be along for the ride. That's for sure.